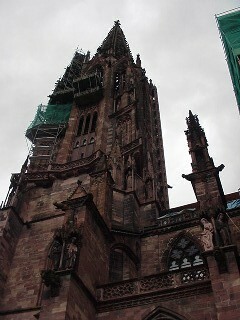 The Münster, the cathedral of Freiburg, a Beautiful example of gothic architecture in red sand stone. 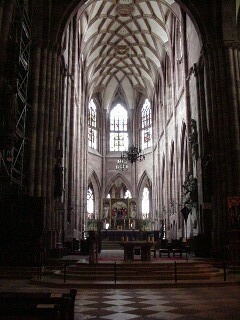 A view of the inside of the church. 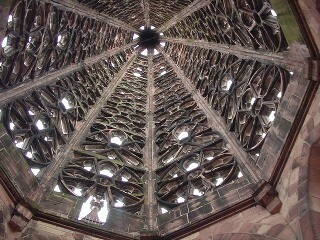 The top...an open roof! 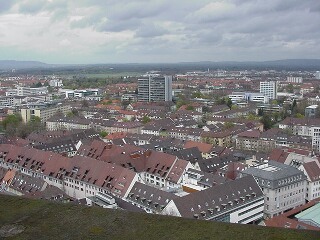 Quite windy up here! 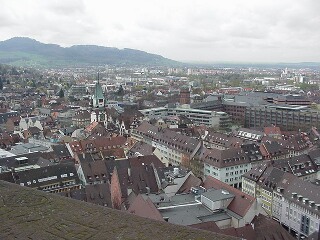 A view of Freiburg from the top. 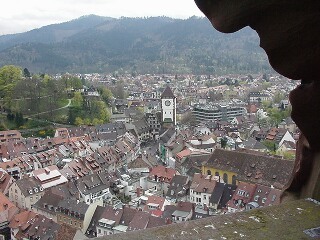 Climbing higher to see the entire Medieval town. 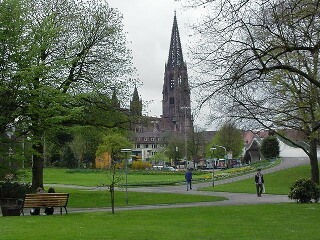 The University in the background. 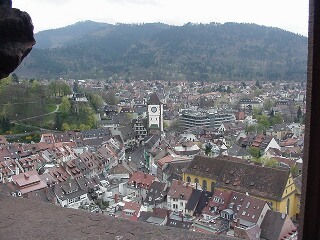 One of Freiburg`s city gates with tower. 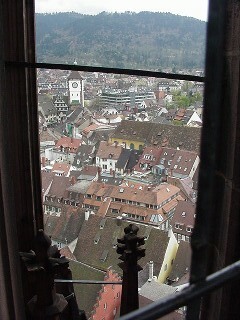 The other city gate with tower. Back on the ground... taking a look up. 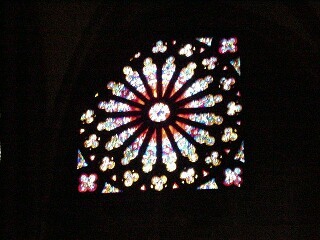 The cathedral is always under construction due to the soft red sand stone.